Research has shown that hydrogen bonds play an important role in tuning the reactivity of the metal centers of metalloenzymes and metal containing catalysts. 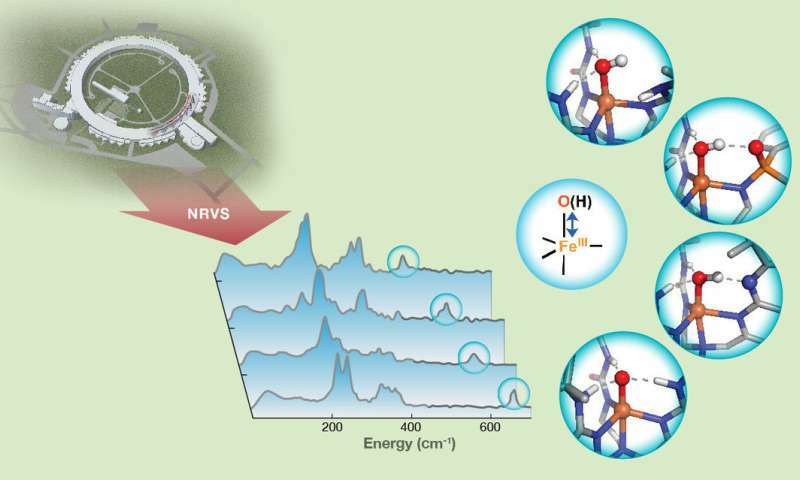 However, little research has been done to experimentally demonstrate how systematic changes to hydrogen bonds within the secondary coordination sphere—molecules found in the vicinity of metal centers that do not have direct bonding interactions with the center—influence catalytic activity. Hopefully this same technique can be used to characterize Ti-O-H and Ti=O-H+ bonds to tease out the characteristics of these transient photoactive species. Hydrolyzed vanadium dioxide is also interesting because of its incredibly fast switching speed from metal to insulator. Looking forward to future results from this promising serious of studies.